Today the Open Thesis Fabrication 5.0 gave their Mid term review, with an internal IAAC jury, as well as representatives from the collaborative companies, in particular Claudia Roselló, Santa&Cole, and Toni Cumella, Ceràmica Cumella. The OTF program pushes the development of a specific research agenda in the field of digital design and fabrication, in an experimental environment that provides the spatial and technological means to execute it, finally aiming to develop and complete full-scale prototypes using advanced CNC machinery, innovative material solutions, and smart energy applications. 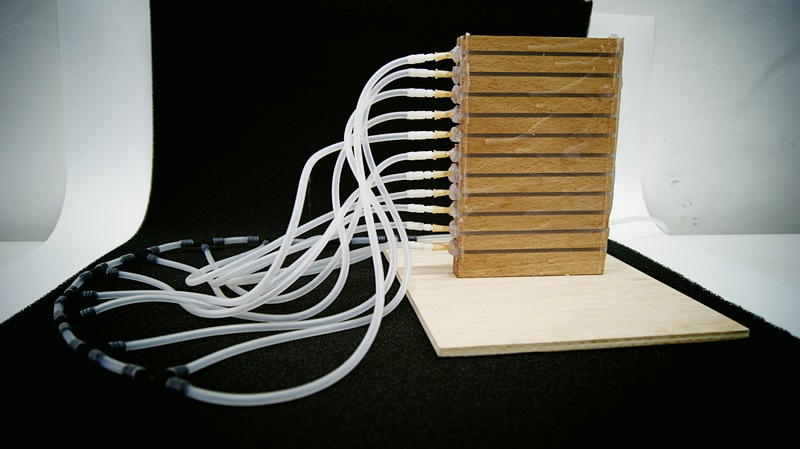 Some of the proposals presented included energy generative prototypes using moss or vibrations as an energy source, additive and subtractive manufacturing with a series of natural materials, as well as smart materials focussing on conductivity and refraction. Today the IaaC OTF Researchers visited CRICURSA with Joan Tarrus and BREINCO with Gemma Pagès. CRICURSA was founded in 1928 with the intention of bringing form, material and processing into high technology glass bending, in order to explore the possibilities of bent glass as a decorative element. After more than 8o years of experience, now offers architectural glass, curved and flat interior and exterior glass, and is present in many of the most famous architectural works around the world. introduction of new glass-made solutions. Passionate about architecture, creativity and innovation, their aim is to continue inspiring the best engineers and architects in the world, in close collaboration with Facades and installers and all professionals, partnering CRICURSA to the efficiency and capacity to deliver ideas and concepts of the designers. BREINCO is a Catalan company dedicated to the production urban elements and urban furniture using concrete. using recycled materials and incorporating new technology in the design of multifunctional spaces. the emission of environmentally-harmful NOx. This abstract portrays the development of a research project with the final objective of designing and fabricating a large scale 3D Printer using natural clay as the printing material. The project focuses on the difficulties of the concept itself, that needs to be further developed, however after the first stages already revealing impressive results. In the first stages of the research project a new protocol has been set up towards the investigation of the material chosen, soil, and the relative science, both physical and chemical, connected to this material. Today the OTF 5.0 Researchers went to visit Ceràmica Cumella and Santa&Cole, check it out! and processes so as to achieve a specific form of life. objects in order to seek a better use experience, thereby leading us to reflect upon material culture. The Tracking Tile project is an investigation that combines a very interesting material and its application in the urban context. The translucent concrete, mostly used for esthetic purposes, is experimented in a smart city element that aims to create an intelligent, responsive and dynamic ground, acting among people, vehicles and architecture. Kaleidoscope is a research project that was realized as part of the Open Thesis Fabrication 2013. It was an intense 4 months research and testing procedures in order to get a working prototype with digital fabrication and material experimentation. 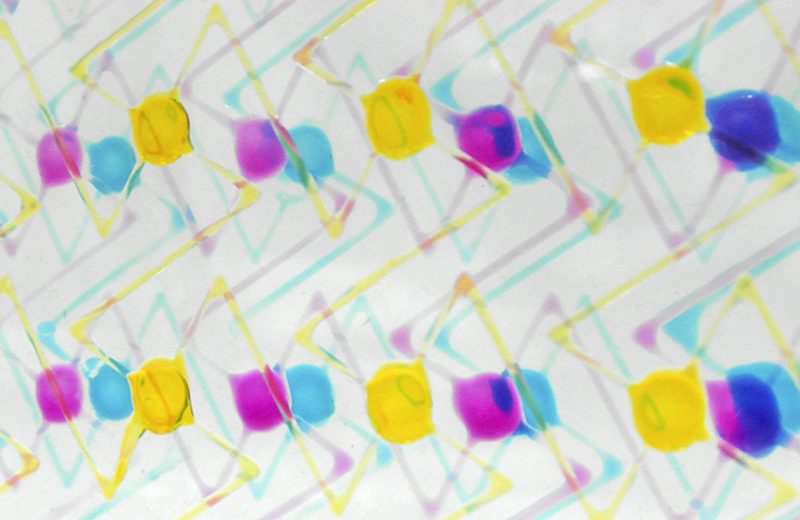 The research was focused on creating a new type of adaptive window where the intelligence is embedded directly into the object, rather than being an attachment to the system. kaleidoscope_Open Thesis Fabrication// IAAC from Dulce Luna on Vimeo. 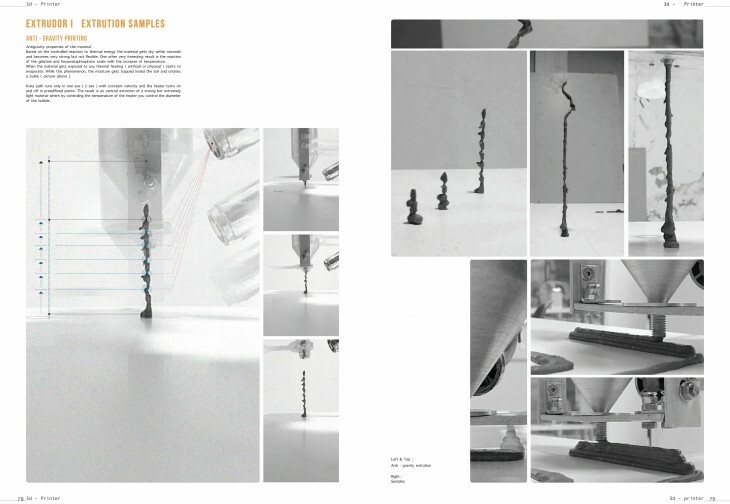 This research describes a studio experiment developed by Iker Luna, under Luis Fraguada, inside the Open Thesis Fabrication program, in the research line of Smart Urban Elements. 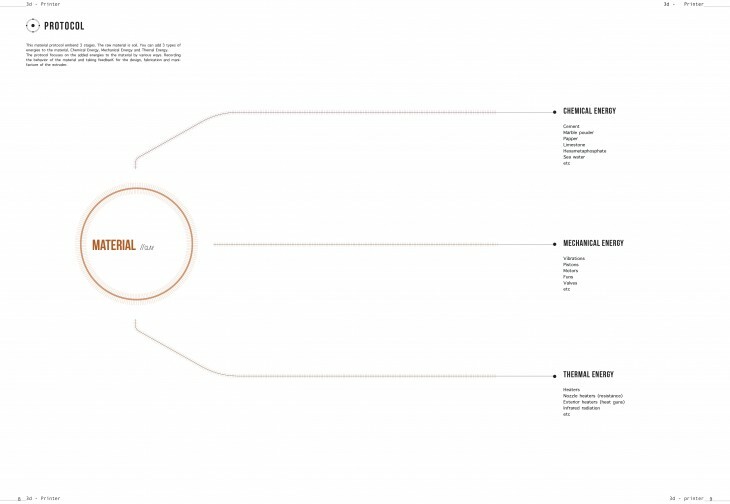 The project aims of exploring the bio receptivity of ceramics taking advantage of the porosity of the material that allows it to retain water and using natural fibers as complement elements to benefits other properties. 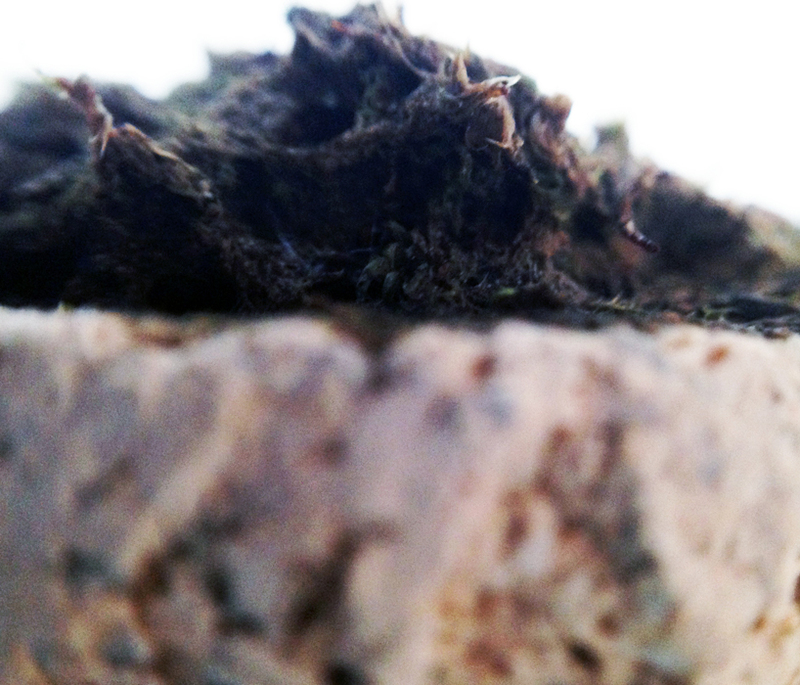 It is known that species like moss and other organisms have the capacity to grow in diverse typologies of surfaces, in particular surfaces with high levels of moisture and acceptable pH levels. Ceramics, such as roof tiles, become suitable places for the reproduction of this organism, providing even more benefit to the material performance in terms of thermal and acoustic parameters, not to mention, photosynthetic organisms help to improve air quality, and to alleviate urban heat island effects. What we have are closed, self-absorbed buildings. What we would like to have is open, versatile, interesting and safe cities. The challenge is how to incorporate large buildings in cities where people have the same small stature and slow space they had hundreds of years ago. There is now a considerable confusion in the gap between large and small scales and between ‘quick’ and ‘slow’ architecture. Ground floor facades provide an important link between these scales and between buildings and people. For public space and buildings to be treated as a whole, the ground floor facades must have a special and welcoming design. This good, close encounter architecture is vital for good cities. An important behavioural factor for facade design is the support effect, which refers to the human preference for standing or sitting and being protected at a fixed point. We have lost this important factor! Buildings became introverted, boring, efficient and separated from the public space. So the aim is to create a responsive facade that on the one hand protects the people from enviromental conditions, like sun and rain IN- & OUTSIDE of the building and on the other hand becomes part of the public space that is able to interact and correspond to the peoples needs and activities. 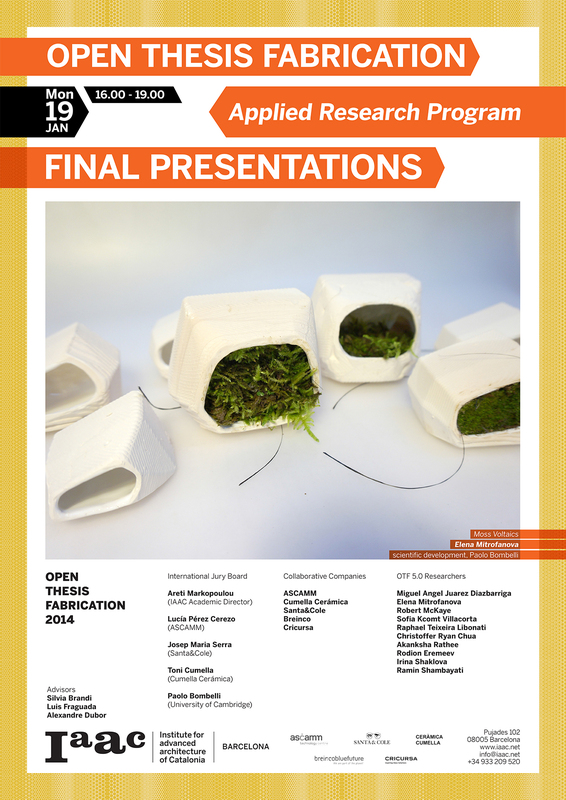 Today we ad the pleasure of Hosting the Open Thesis Fabrication Final Presentations to an international jury consisting in Silvia Bures (agricultural engineer), Joan García (GEMMA UPC), Tomasz Jaskiewicz (TU Delft), Manuel Kretzer (ETH Zurich), Mitchell Joachim (Terreform NY), Alex Sasplugas (CRICURSA), Toni Cumella (CUMELLA CERAMICA), Josep Mª Serra (SATA&COLE), Gemma Pagès (BREINCO), Jordi Ribatallada (ASCAMM), Mònica López (SNABOGADOS), Ignasi Espiell (VOLARTPONS), as well as the IAAC Dean Manuel Gausa, and the resrch line Advisors: Intelligent Building Construction - Areti Markopoulou, Silvia Brandi; Smart Urban Elements - Luís Fraguada; 3D Printing in Architectural Construction - Enrico Dini, Saša Jokic, Petr Novikov; Experts – Guillem Camprodon / Physical Computing Expert, Marc Viader / AI Expert, Victor Arribas / Material Expert. 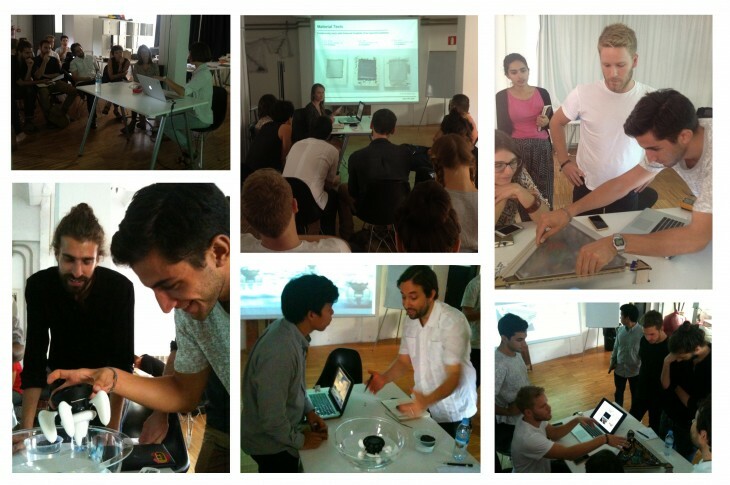 The researchers preseted their finalised prototypes, and we are happy to say that all prototpes presented were successful. Congratulations to all the researchers! © 2009 IaaC All rights reserved. Powered by WordPress. Built on the Thematic Theme Framework.